NEW YORK—With hurricane season beginning on Saturday in New York City, one council member on Staten Island is growing very concerned. Council member Jimmy Oddo spoke at length at a Parks Department budget hearing about the limited protection offered to residents of Midland Beach, a community hit hard by Hurricane Sandy. Eight residents of Midland Beach died on October 29 when Hurricane Sandy hit, the highest concentration of storm-related deaths in the city. A temporary berm, built by the city’s Parks Department, is all that protects the beachfront community on Staten Island’s south side from the powerful punch of hurricane flood waters. Midland Beach was left off the list of areas to receive berm work because it did not meet the Army Corps of Engineers criteria. United States Senator Chuck Schumer and Oddo have written a letter of appeal to the Army Corps of Engineers as well as FEMA, but have received no answer. This left Oddo looking to the Parks Department to help protect his constituents. 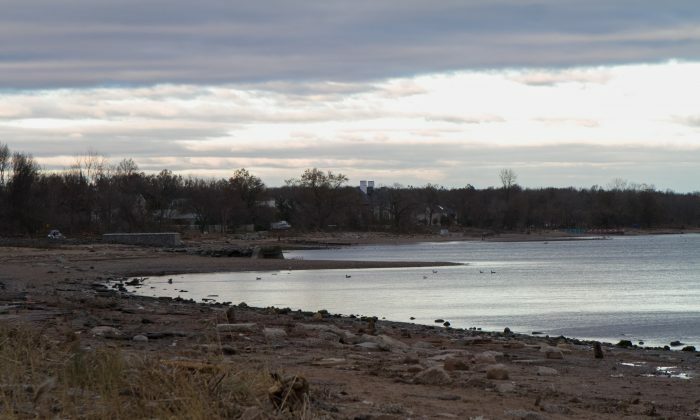 Parks Commissioner Veronica White said she was dumbfounded as to why Midland Beach was left out, but could not offer much in the form of help. Chairman of the City Council’s Finance Committee, Domenic Recchia Jr.,—whose district includes heavily hit Coney Island—was not satisfied with the answer. “To say, just wait for the Army Corps of engineers—come on. What are we doing to protect people?” Recchia asked. White could offer nothing more than a meeting, reminding the council members it was a lack of funding, not a lack of will. Council members can add discretionary funding to the Parks Department budget, however, White spent much of her testimony describing where discretionary funds were needed elsewhere to fill gaps left from proposed budget cuts. White said without funding from the Council, four pools—Wagner Pool in Manhattan, Howard Pool in Brooklyn, Fort Totten Park Pool in Queens, and Faber Pool in Staten Island—will be forced to close and the season will be shortened by two weeks at all other pools. In addition, White asked for money to help clear the backlog of tree pruning requests, many from Hurricane Sandy, and the Parks Opportunity Program, a transitional employment training program. The City Council will wrap up budget hearings on June 5th before allocating discretionary funds and submitting a final budget by June 30.